What are the coldest places on Earth? The world is full of extreme climates that make it difficult for human habitation. There are many extreme places in the world, some of them are more extreme than others. Also, there are hottest places on earth as well as the coldest. But, here we discuses only the places with the lowest temperature on earth. The top 10 coldest places. How cold is the coldest place on Earth? The coldest temperature ever recorded was minus 128.6 degrees F in at the Russian research station in Vostok, Antarctica, on July 21, 1983. While none of these towns or cities gets that cold, some get frighteningly close to it. Here we present the top 10 of the coldest places in the world. These are places where recorded temperatures are very low. Following is the list of top 10 coldest places on Earth. Where are the coldest places in America? Rogers Pass located 5,610 feet above sea level is the second coldest location in U.S.. It is located on the continental divide in the U.S. state of Montana. Rogers Pass is considered the best route between the cities of Great Falls and Missoula, Montana. The Pass is the location of the coldest temperature ever recorded in USA outside of Alaska. On January 20, 1954, a low temperature of −70 °F (−57 °C) was recorded during a severe cold wave. Fort Selkirk is a former trading post on the Yukon River at the confluence of the Pelly River in Canada’s Yukon. In 1950 this place was deserted because of extreme cold conditions. It is now inhabited again but is only accessible. There is no road access. Most visitors get there by boat or a plane. The coldest month is January and the lowest temperature is -74 °F. See also; 10 of the Most Dangerous but Spectacular Train Routes in the World. Prospect Creek was named the coldest place in the United States. It is a very small settlement approximately 180 miles north of present day Fairbanks and 25 miles southeast of present day Bettles, Alaska. This place has a sub-arctic sort of weather which means that winters last for a long period of time and summers are very short. Weather conditions are even more severe now so the area is less crowded now. The record low temperature of −80 °F (−62 °C) was recorded. Located at 643 feet (196 m) above sea level, Prospect Creek was home to numerous mining expeditions. It was also the camp for the building of the Trans-Alaska Pipeline System (TAPS). It is at number eight in the list of coldest places on earth. Snag is a village with lowest temperature on earth. It is at number seven in the top 10 coldest places list. The village of Snag located on a small, dry-weather sideroad off the Alaska Highway 25 km south of Beaver Creek, Yukon, Canada. It is located in a bowl-shaped valley of the White River. The weather is chilly and freezing, the coldest month is January and the lowest temperature recorded is −63.0 °C (−81.4 °F). As of 1947, the Snag village has a total population of 10 First Nation people and 4 traders. An additional staff of 20 airport personnel including meteorologists, radio operators, aircraft maintenance men, who lived at the airport barracks. The name Eismitte means Ice-Center in German. This place is on the interior Arctic side of Greenland. It has ice everywhere and therefore it is rightfully called Mid-Ice or Center-Ice. The coldest temperature recorded during the expedition was −64.9 °C (−85 °F). Eismitte is one of the coldest places in the Northern Hemisphere. During the expedition, the coldest temperature recorded was −64.9 °C (−85 °F) on March, while the warmest temperature recorded was −1.8 °C (28.8 °F) on July. The warmest month noted was July, −12.2 °C (10 °F), while the coldest month, February, averaged −47.2 °C (−53 °F). Interestingly, the sun does not set between May 13 and July 30 each year. Also, between November 23 and January 20, the sun does not rise . 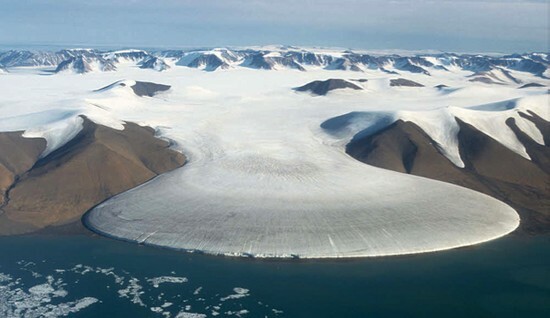 Located on the inland ice of Greenland. The North Ice was a research station of the British North Greenland Expedition. This is at No. 5 in the list of coldest places in the world. The lowest temperatures recorded are -86.8 °F and -66°C . At an altitude of 2,341 meters (7,680 feet) above sea level, it was once the name of a research station. It’s name contrasts to the former British South Ice station in Antarctica. What is the coldest country in the world? Of-course it’s Russia. Verkhoyansk is second coldest place in Russia. This town in Sakha Republic, Russia is notable chiefly places for its exceptionally low winter temperatures and some of the greatest temperature differences between summer and winter on Earth. Verkhoyansk is one of the places considered the northern Pole of Cold. The lowest temperature recorded there, in February 1892, was −69.8 °C (−93.6 °F). With a total population of 1,311, the town is home to the Pole of Cold Museum. It also has an airport, a river port, a fur-collecting depot, and the center of a reindeer-raising area. Only Antarctica has recorded lower temperatures than Oymyakon or Verkhoyansk. Verkhoyansk holds the Guinness world record for the greatest temperature range on Earth: 105 °C (189 °F). Which town is the coldest in the world? With an extreme subarctic climate, Oymyakon is known as the coldest place in the world. It also known as one of the candidates for the Northern Pole of Cold, the other being the Verkhoyansk. The ground there is permanently frozen. In 1924, Russian scientist Sergey Obrychev registered the lowest temperature −71.2 °C (−96.2 °F) recorded at Oymyakon’s weather station. This is the lowest recorded temperature for any permanently inhabited location on Earth. Only Antarctica has recorded lower official temperatures (−128.6 °F), recorded at Vostok Station on 21 July 1983. Oymyakon and Verkhoyansk are the only two permanently inhabited places in the world that have recorded temperatures below −60.0 °C (−76 °F) for every day in January. 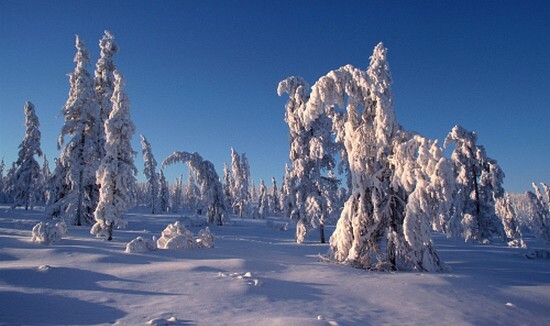 Sometimes the average minimum temperature in Oymyakon remains below −50 °C (−58 °F), for December, January and February. Also, sometimes summer can also be quite cold, but June and July are the only months where temperature has never dropped below −10 °C (14 °F). After Vostok, this is second most coldest place on earth. Plateau Station, an inactive American research and Queen Maud Land traverse support base on the central Antarctic Plateau. The coldest month being July, the lowest naturally recorded temperature was -123.1 on the Fahrenheit scale. Plateau Station has ice cap climate. Also, it is one of the coldest places on earth. The lowest temperature recorded there on on July 20, 1968, was -123.1 °F (-86.2 °C). In addition, it has cold and brief summers, and long, dark and frigid winters. Is Antarctica one of the coldest place on Earth? Sure it is one of them, and Vostok station is just an example with lowest temperature on earth. Vostok Station is a Russian Antarctic research station. This station is at the southern Pole of Cold. It’s lies at the center of the East Antarctic Ice Sheet. The coldest month in Vostok is August where the the lowest reliably measured natural temperature on Earth is −89.2 °C (−128.6 °F). It is the coldest place in the world right now. The most interesting thing about Vostok, it is one of the sunniest places on Earth. As compare to the sunniest places of South Africa, there are more hours of sunshine per year despite having no sunshine at all from May to August. The station has highest sunshine in December, 22.9 hours daily. In contrast, it has the lowest sunshine, with maximum of 0 hours of sunshine per month during polar night. Where are the coldest places on Earth? The above list describes top 10 locations with lowest temperature ever recorded. Which city is the coldest in the world? Yakutsk, he capital city of the Sakha Republic, Russia is the coldest city in the world with an average winter temperature −34 °C (−30 °F). What is the coldest country in the world? Russia (Oymyakon) – with the −128.6 °F, lowest recorded temperature for any permanently inhabited location.